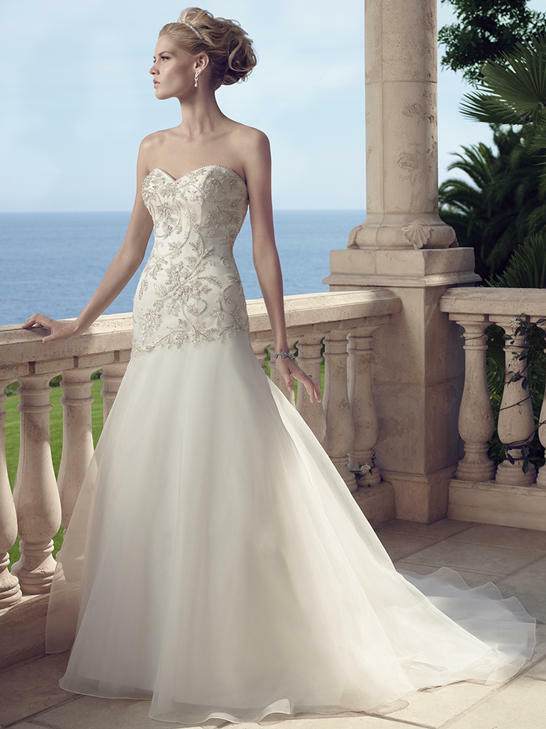 Strapless sweetheart gown; with a bodice of beadwork and embroidery are accented with an assortment of rhinestones and pearls sewn on tulle over Sheer Organza. A petite beaded trim finish the front and back necklines. The extended asymmetrical dropped waist skirt is a layer of Sheer Organza over tulle and satin.